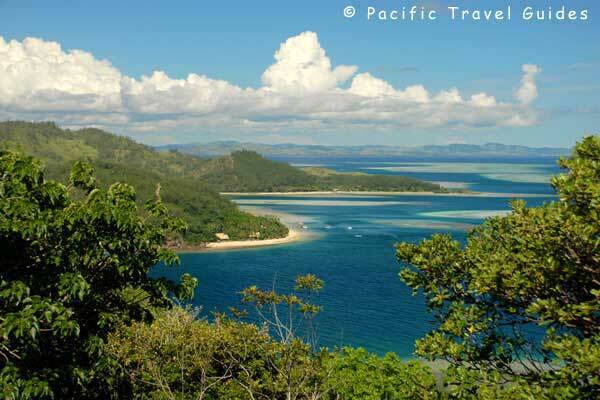 Castaway Island Resort Fiji is a 174-acre private island in the heart of the Mamanuca Islands with easy access to neighbouring islands for exploring and a truly relaxing holiday atmosphere. Spacious traditional thatch bures with hand painted tapa material and high ceilings are spread along the Beach Front and in the garden setting. Castaway Resort is ideal for couples or families looking for quality time with their children. 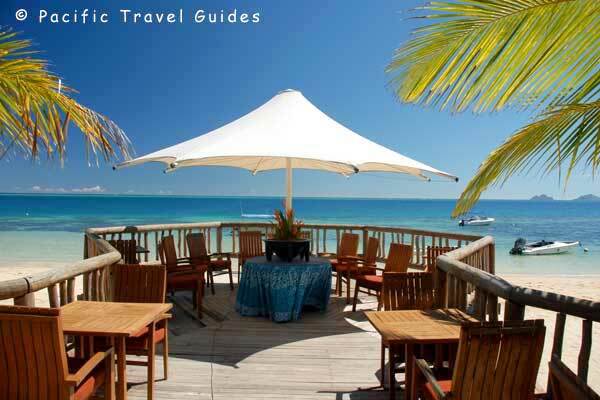 Castaway Resort offers 66 traditional style cottages (bures) with identical interior designs, of which 28 are island bures set amongst tropical vegetation and backed by steep hills. The bure offers a spacious living area with lounge seats or where 2 single beds can fit, and a sliding partition to screen the master bed and en-suite bathroom for privacy. 12 are ocean view bures set behind the beach bures with partial ocean views from the veranda. The bure offers a spacious living area with lounge seats or where 2 single beds can fit, and a sliding partition to screen the master bed and en-suite bathroom for privacy. 25 are beach bures set under shaded coconut palms on the edge of the beach. These bures offer a spacious living area with lounge seats or where 2 single beds can fit, and a sliding partition to screen the master bed and en-suite bathroom for privacy. 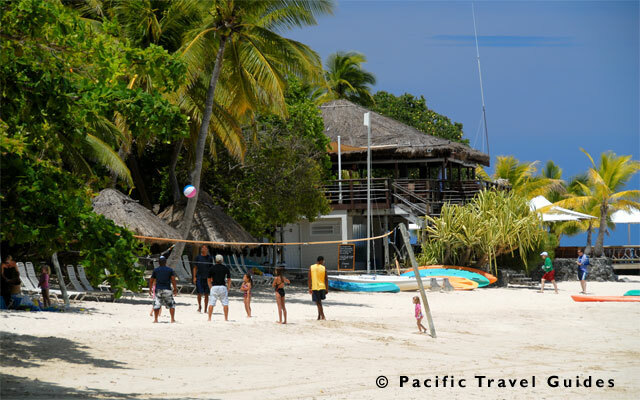 Castaway Island Resort has one Family Beach Bure which is two bures connected together by an annex forming a small courtyard. The bures have an almost identical interior design to the other bures in design, but has with more than twice the living space and sleeps up to 10 people in two separate living areas. One of the highlights at Castaway Resort is its beautiful restaurant setting with an atmospheric indoor dining area as well as plenty of outdoor tables raised slightly above the beach with great views over the lagoon and a wooden deck extending over the beach for more intimate dining. Meals in the a la carte menu are very reasonable and there are several optional theme nights including the Island Buffet with traditional dance show..
Castaway Island offers both fine dining as well as alfresco dining under the stars overlooking the water. Behind the bures is a landscaped main swimming pool, a quiet area adults pool with large umbrella shades and tropical massage. Kids are kept busy at the daily Kids Club. A private scuba diving outfit offers modern gear, PADI courses and fast dive boats for easy access to some fantastic scuba diving sites. Catamarans, windsurfers, paddle boards and snorkelling equipment is complementary with other paid activities including water skiing, banana boat rides, parasailing and private boat charters to explore the nearby islands. Qalito Island, on which Castaway is the only resort, offers some pleasant hilltop hiking through light forests culminating in stunning views over Malolo island and to the outer Mamanuca Islands. There are also several smaller beaches around the island to explore and make for good beachcombing.